With his effervescence and volcanic explosion on the ball, the bustling Stephane Sessegnon is a dream player for a counter-attacking side such as Sunderland. The Benin livewire was a constant menace to Manchester City’s defence in Sunderland’s impressive 3-3 draw against the title contenders at the weekend. He assisted Sebastian Larsson’s opener before finding Nicklas Bendtner in the box with a well-weighted cross when Sunderland regained the lead. His third involvement was in an incisive counter-attack, as he ran into the Man City half with endeavour before releasing a piercing through ball that found Bendtner who in turn found Larsson for his second game. 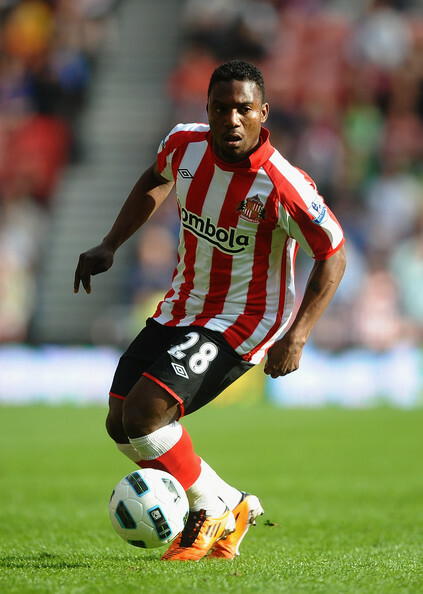 If rumours are to be believed, Sessegnon won’t be in the North East for much longer. It wouldn’t come as a surprise, after all Roy Keane bemoaned the club’s pulling power due to its location during his tenure, citing the lack of shopping centres had made potential stars repelled compare to, say, a move to the London clubs. Although money played a part in the want-away moves of Darren Bent and Asamoah Gyan, it does seem that after a while players tend to get restless at the club. Whatever the case, Sessegnon has undoubtedly been Sunderland’s player of the season so far and a move to a bigger club would be merited.